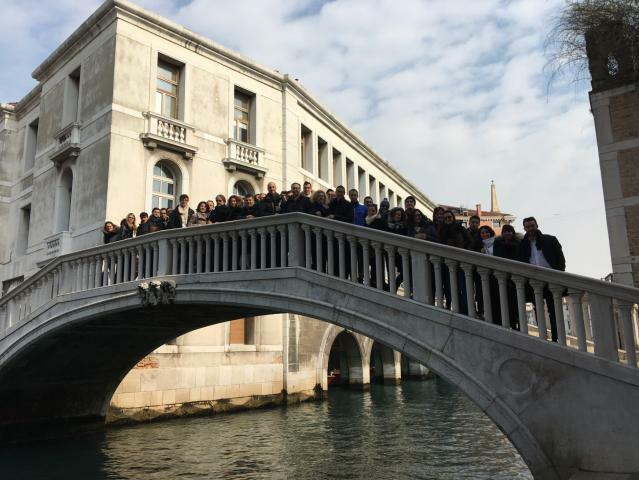 The Workshop “Small Molecules Activation” was held on February 15th – 16th 2018 at Aula Magna Ca’ Dolfin of Ca’ Foscari University in Venice. Sustainability is one of the pillars for the current and the upcoming development of our society. In this context, a great deal of attention from the scientific community is addressed to the discovery of new alternative, environmentally friendly, strategies to tackle the sustainable synthesis of chemicals and the energy production. One of the main tools to achieve this ambitious target is based on the activation of small molecules including H2, O2, H2O, CO2, CO, N2, and NH3, which may act as sources of H, O, C, and N, respectively, to build up useful compounds and intermediates.